Saskatoon is the first North American city to host the One Health Congress. 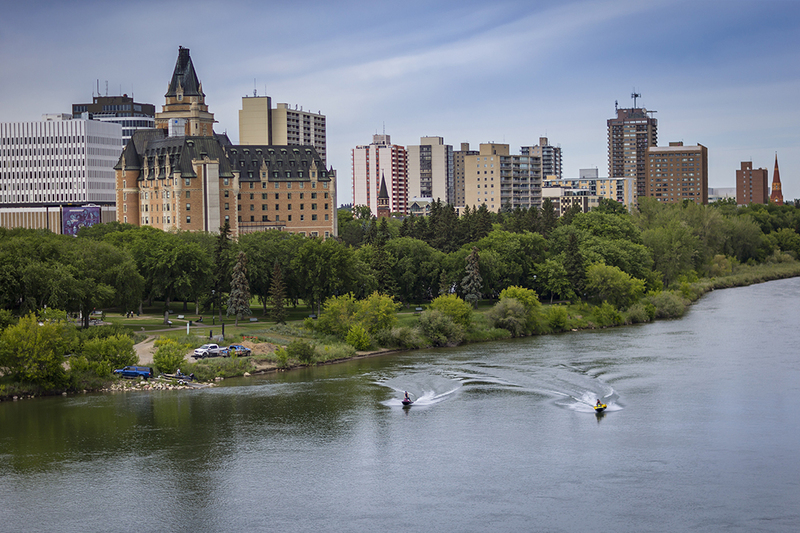 Photo: Tourism Saskatoon/Greg Huszar Photography. The University of Saskatchewan (U of S) is set to welcome nearly 700 visitors to Saskatoon for the International One Health Congress, the premier conference in the world of One Health. The U of S and One Health Platform Foundation are jointly hosting the four-day congress that will take place from June 22 to 25 in Saskatoon — the first North American city to host the conference since the first biennial event was held in 2011. The U of S is the ideal host for a conference focused on One Health, a global initiative that recognizes the importance of the connection between human, animal and environmental health. The U of S is the only campus in Canada that’s home to all health science colleges and the country’s only synchrotron. One Health is also one of the university’s main research signature areas. One of the congress’s main selling points is the opportunity to network with people from around the globe who have backgrounds in different aspects of One Health. Congress participants represent academia, research, industry, administration and public policy. Participants can choose various presentations in three scientific tracks: One Health science, antimicrobial resistance and science policy interface. Since one of the primary objectives of this congress is to focus on One Health in relation to Indigenous and underserved communities, its program also includes special plenary sessions on tuberculosis and chronic wasting disease. The congress is open to anyone from researchers and scientists to health professionals and policy makers, with discounted prices for graduate students who wish to attend. Attendees can choose from 28 sessions led by international speakers. Some are well known in the One Health spectrum while other speakers are just beginning their careers — the congress’s nod to supporting new and emerging ideas and researchers. The congress’s opening ceremony takes place on June 22, with the keynote lecture by Nobel Prize Laureate Peter Doherty of the University of Melbourne. The conference wraps up with a farewell dinner at the new Remai Modern art museum on June 24, followed by final sessions and the closing ceremony on June 25. To register for One Health Congress, visit www.onehealthplatform.com/international-one-health-congress. Watch a short video featuring Karen Chad, U of S vice-president research and co-chair of the Fifth International One Health Congress. Article re-posted on 2-Apr-2019 4:32:53 PM .